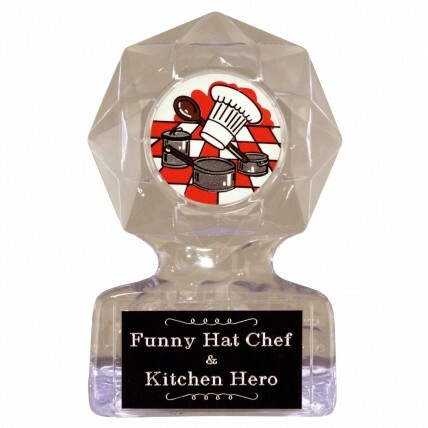 Whether your chefs are competing in a family cook-off or a spaghetti sauce contest, the Star Chef Geometric Acrylic Award is perfect for you! 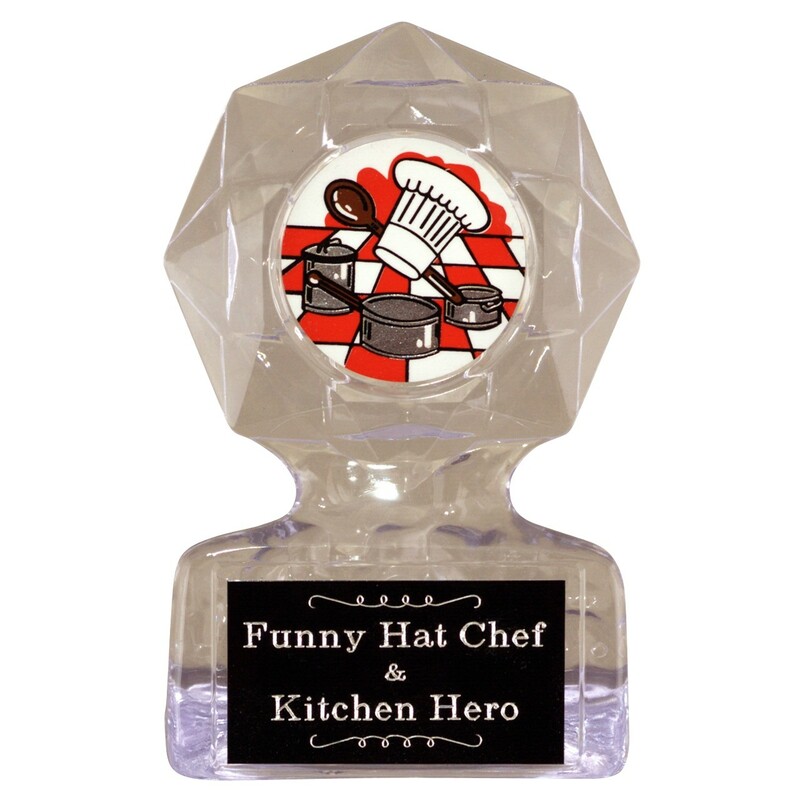 This clear acrylic trophy has intricate geometric designing with a 2" mylar depicting a red and white checked background, chef hat, and other utensils. Your three lines of engraving will be etched in silver on a black aluminum plates. This eye-catching award is available in two sizes.